New England weather can be unforgiving, especially in winter. But those who love the Northeast praise the region as having it all: warm springs, breezy summers, fall foliage and winter wonderland. The owners of this home on a hillside not far from Worcester, Mass., wanted to take advantage of the climate as much as possible, and NanaWall helped deliver their dream. "The project called for a garage bay addition to the house, with a sunroom above and an attached deck," recalls Michael Bishop, design support services manager for Woodmeister Master Builders of Holden, Mass., and project manager for the Grafton Home. "The client wanted to let the outside in as much as possible, with lots of windows and openings." Bishop and his team understood that the client's goals would have to be weighed against the realities of the New England climate. NanaWall's state-of-the-art engineering provided a bridge between these demands that other systems could not. And NanaWall also provided an opportunity for a truly seamless connection to the outdoors. The thermally broken engineering keeps the Grafton sunroom cozy when the weather is inclement. 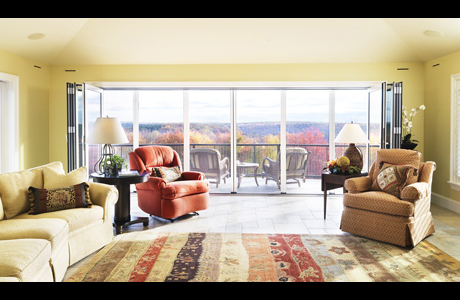 Yet, even when closed, the NanaWall system provides the sunroom's occupants with nearly unobstructed, panoramic views. "Nanawall can literally bring the outside in," says Bishop, "foliage in the autumn, breezes in the summer, all of it." Bishop's team looked at other manufacturer's systems, but the engineering and aesthetic advantages ended the debate. 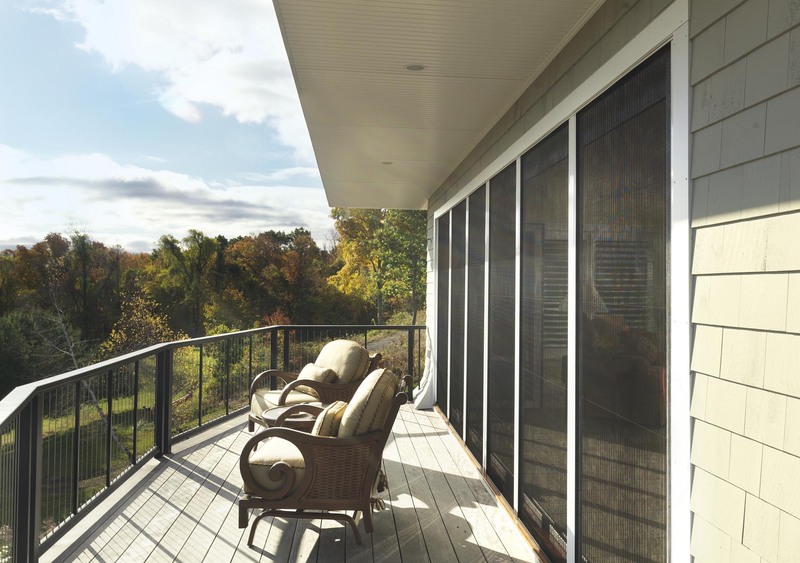 They selected NanaWall's WA67 Wood Aluminum Clad Folding System for the opening between the sunroom and deck. "NanaWall's support system at the header with the beam was very attractive," remarks Bishop. "It sat well in the construction of that wall for us, and it seemed to be built more structurally sound than other systems like it. 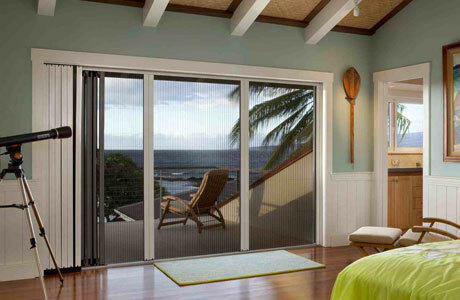 "The NanaWall system is a great solution for opening up a wall." Before encountering NanaWall, Woodmeister's designers and builders had experimented with custom-built solutions for large openings. "Years ago we occasionally would build a large wall opening with a pulley system," Bishop recollects. The custom solution would deliver the seamless indoor/outdoor connection, but required installing a pocket for the partition to be stowed. This would add time and expense to the project, especially when the pocket was installed below the wall. Regarding other manufacturer's products, says Bishop, "Other systems did this also, but they seemed more awkward, and less sturdy." 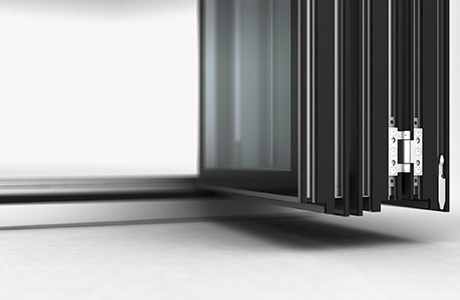 NanaWall's construction includes steel runners and door hardware that account for its strong construction and smooth operation. And the thermally broken engineering keeps the Grafton sunroom cozy when the weather is inclement. 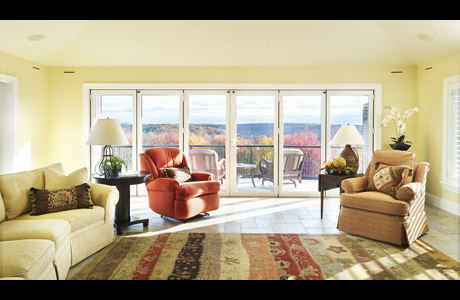 Yet, even when closed, the NanaWall system provides the sunroom's occupants with nearly unobstructed, panoramic views. Woodmeister has also found NanaWall to provide a high-level of product support. "The manufacturer sent an experienced installer down from New Hampshire," confirms Bishop. "He was very helpful and very knowledgeable." Bishop and his colleagues have found this to be a huge advantage of working with NanaWall. "At one point we encountered an issue with the threshold detail, but the field representative worked with us – to a large degree collaborated with us," Bishop emphasizes. "The problem was worked out to everyone's satisfaction. "The client is happy," says Bishop. "That's the most important thing." "An extra-long NanaWall opens up completely for great indoor/outdoor entertainment flow, providing a preponderance of natural light when closed. While only 200 square feet were added on, it feels like so much more."